Please Donate to Cyprus44 Today. Help Cyprus44 grow online. Make your donation now. To website and forum hosting (server, firewall and bandwidth), forum improvements (maintenance and programming) and content creation. Even though Cyprus44 receives £8000 funding on a yearly basis, our running costs are higher this year. Our yearly expenses cost £13000. We receive £5000 from advertisers. We receive £3000 from supporting companies by Izzet and friends. We plan to raise the remaining £5000 through donations and other fundraising activities. You can easily donate via PayPal using any major credit card. Please send your donations to . Is there a drop off point in Kyrenia? You may drop off cash in an envelope at Pacific Petrol Station / Rent A Car. 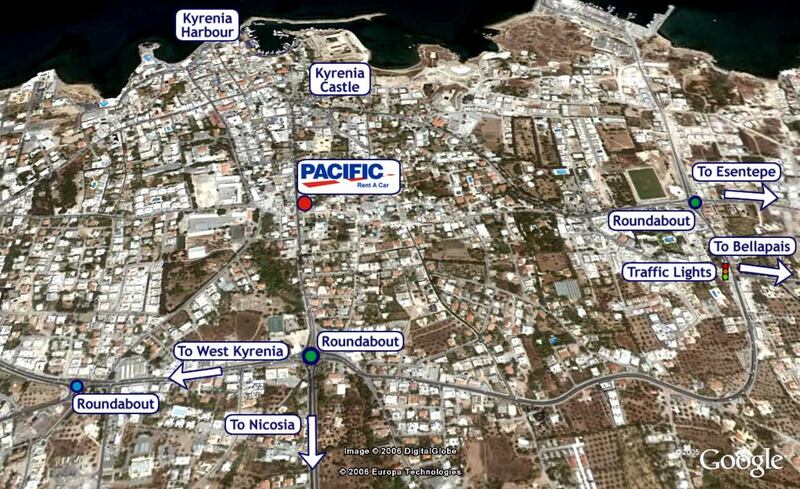 It's the second petrol station on the right hand side, when driving from the Kyrenia-Lefkosa main roundabout towards Colony Hotel. Click here for the map. Please address it to Cyprus44 and make sure to write your name on the envelope or put a note inside. What can I do to help you spread the word? What if I don't want to appear on the Donors List? Let us know by email, and we'll show your contribution as "Anonymous". This web page is served on 21 April 2019 at 01:11:37.